Fanpoop. . Wallpaper and background images in the Fanpop club tagged: fanpop image screencap fake poo poop cap fanpop cap. I want a toilet-trained cap! 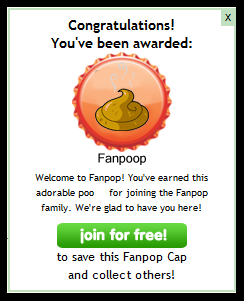 Not gonna lie, I totally want a Fanpoop cap. Hehe cool i whis i had that one!! Funny stuff! It would have been perfect, if not for the large space between "poo & for". Obviously this needs to be a thing.